The Patriotic Front have called on police to get to the bottom of the shooting incident that took place in the early hours of Tuesday in Lubansenshi involving rival groups. PF Lubansenshi parliamentary by election Campaign Manager Freedom Sikazwe distanced his party from the fracas which involved the firing of two shots in the air. Mr. Sikazwe said the incident has been reduced to speculation as police were still investigating the matter. 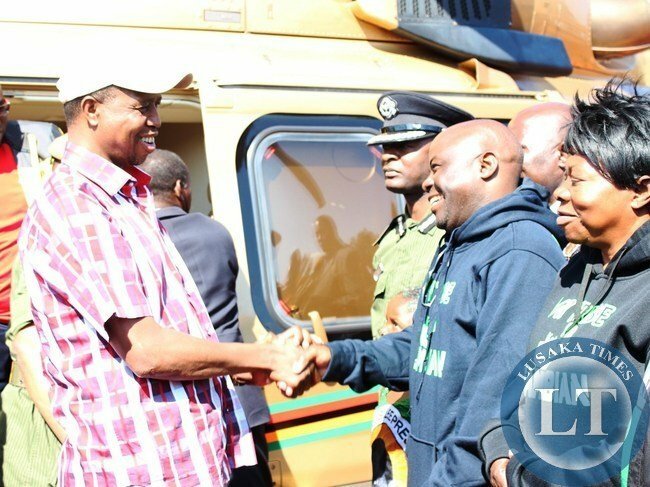 He said the PF has maintained peace and restrained its members from any sort of retaliation since setting foot in Lubansenshi. And Deputy Minister in office of the Vice President Stephen Kampyongo praised the police in the area for being vigilant. Mr. Kampyongo also confirmed that PF and UPND had a meeting facilitated by the police to ensure peace and stability ahead of the parliamentary by-elections on Thursday. And Zambia Police Service has urged all the political players in the by-elections that will be held tomorrow 24th September 2015 in Solwezi West and Lubasenshi Constituencies to abide by the provisions of the Electoral Code of Conduct. In a statement released to the media today by Spokeswoman Charity Munganga-Chanda, Zambia Police assured the electorates in the two Constituencies that officers will be at hand to ensure that they exercise their democratic right freely without any form of intimidation or threats. ” As Zambia Police, we have reinforced manpower in both constituencies and stepped up our patrols to handle any volatile situation that may arise. When I say PF! You should all shout …ICHOKE CHABE. Now, 1 23..PF …ICHOKE CHABE!!! There is no doubt in my mind that the ruling party is responsible for the gun trouble in Lubansenshi, or atleast troubled fellows in their ranks are to blame. When I say UPND! You should all shout …Up and down, Up and down, losing is our specialization! Now, 1 23..UNPD …Up and down, Up and down, losing is our specialization!!!! Well ladies and gentlemen, am appealing to you all to continue voting for PF, its the only part you can trust. They should start their investigations at State House. There are loose gunmen at statehouse. No need to ban any political party but to arrest those who use the guns to maim or kill their brothers and sisters in the name of politics. Can’t we co-exist even if we all have different dental formulas? PF and OP AND Zambia Police are shooting people in Solwezi. Horrible images of babies with head wounds and men on the ground…! Don’t forget Davis Chama while you’re at it. At least now you have found the time to make arrests.